From arborist to mooring, we provide professionals in countless fields with industry-engineered synthetic rope products that are built to meet the challenges of the jobs at hand. You can count on our climbing and rigging lines to keep you productive and safe while in the highest reaches of any tree. Samson’s commercial fishing products thrive in grueling environments, including the North Pacific and the Bering Sea. Made from a combination of high-performance fibers, our rope delivers strength equal to wire in similar diameters. Samson’s experience in the energy industry enables us to design custom engineered solutions for a variety of applications. From camera flying rigs to stunt and stage rigging, Samson delivers on the field and on the set. Samson offers a range of sizes, constructions, fiber blends, and performance features to support all your cordage needs. As a critical connection between vessels, ropes are some of the most important pieces of equipment in the river assist industry. Samson’s high-performance synthetic ropes are proven to be a safer, more efficient option within rugged mining environments. Lightweight synthetic rope provides distinct advantages in vessel mooring, including fewer crew required on the line, shorter mooring operations, and no relubing of wire. When it comes to high-performance sailing lines, you’ll feel confident on the water with our unsurpassed quality. When people’s lives are on the line, you can rely on Samson’s UL-approved static rappelling rope to help you with the mission at hand. We don’t just offer the best in tow rope products; we go the extra mile and deliver custom towing systems. From winch lines to pulling and stringing lines, our ropes are engineered with fiber technology and innovative designs to meet your demands. Samson has committed substantial research and development resources to designing chafe protection products that maximize the service life of our ropes. The best ropes deserve the best hardware. 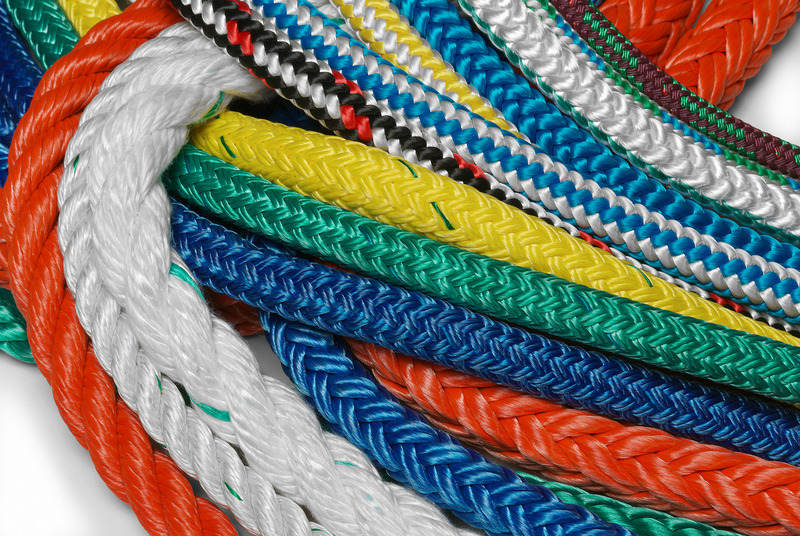 Check out our full catalog of accessory products that are designed to be compatible with our high-performance synthetic rope.